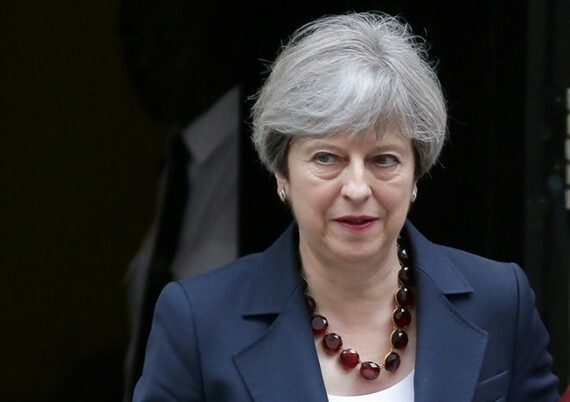 British Prime Minister Theresa May narrowly won a confidence vote in parliament yesterday, highlighting the weakness of her Conservative Party which lost its majority in a shock general election result earlier this month. Only with support from the small ultra-conservative Democratic Unionist Party (DUP), was May’s legislative programme – known as the Queen’s Speech – approved after 323 votes in favour and 309 against in the 650-seat parliament. May’s minority government had earlier announced it would change abortion rights for Northern Irish women ahead of a threatened revolt by MPs in a separate vote. The announcement led the opposition Labour Party to withdraw an amendment to the Queen’s Speech demanding the state-run National Health Service (NHS) in England stop charging women coming from the province, where abortion is illegal except when the life of the mother is in danger. Just hours before it went to a vote, ministers wrote to MPs promising to stop the charges. May’s personal authority is deeply damaged after calling the election three years early, hoping to go into Brexit negotiations with a strengthened mandate. But instead of a landslide win she suffered a rebuff from voters which has left her exposed. May cut short a trip to Berlin yesterday with European allies ahead of next week’s G20 summit, to ensure she was present for the vote. The majority of the bills in the Queen’s Speech concerned Britain’s departure from the European Union, on which the first formal negotiations took place last week. May’s Brexit plan to quit the single union and customs union is under severe scrutiny as pro-EU members of her government sense an opportunity to use her weak position to force concessions. Calls to prioritise jobs over immigration controls are growing, particularly from Finance Minister Philip Hammond. He criticised eurosceptic Foreign Secretary Boris Johnson this week over his claim that Britain could "have its cake and eat it" in the negotiations. Hammond has emphasised the need for transitional deals to avoid a damaging "cliff-edge" when Britain leaves the EU, though Brexit minister David Davis has appeared to slap him down. Labour, which won 262 seats in the election, officially accepts that Britain will be leaving the single market but wants "full tariff-free access" to protect jobs. Some Labour MPs tabled an amendment to the Queen’s Speech yesterday calling for the government to consider staying in Europe’s single market, a move that threatened to re-open divisions in the party. It was defeated by 322 votes to 101 but dozens of Labour MPs voted in favour despite Labour leader Jeremy Corbyn ordering them to abstain, prompting the opposition leader to sack three of his frontbenchers while another had resigned before the vote. May announced a deal with the DUP on Monday where they agreed to back her government in confidence and budget votes, in return for an extra £1.0 billion (1.1 billion euro, US$1.3 billion) in state aid for Northern Ireland. The DUP’s 10 MPs will vote with the 317 Conservatives on key issues. The two parties together defeated a Labour amendment to the Queen’s Speech late Wednesday calling for an end to a six-year cap on public sector pay. But government officials had earlier indicated they may review the policy, reflecting concern among Conservative MPs about continued austerity. The DUP deal has also caused disquiet among Conservative ranks because of the ultra-conservative Northern Irish party’s strident views on abortion and gay marriage. Many commentators question how long the alliance will last, while May’s future is widely discussed in terms of when, not if, she will stand down.